Ever since the East West Link fiasco there has been substantial talk about removing the politics from Victoria’s infrastructure planning. The perception has been that politicians choose infrastructure projects that best suit their political agenda, rather than the projects that meet the objectives of a broader plan for a city. One only needs to read the East West Link report from the Australian National Audit Office to see how politics can interfere with due process in infrastructure delivery. Infrastructure Victoria is the body created by the Daniel Andrews led State Government to fix this problem. 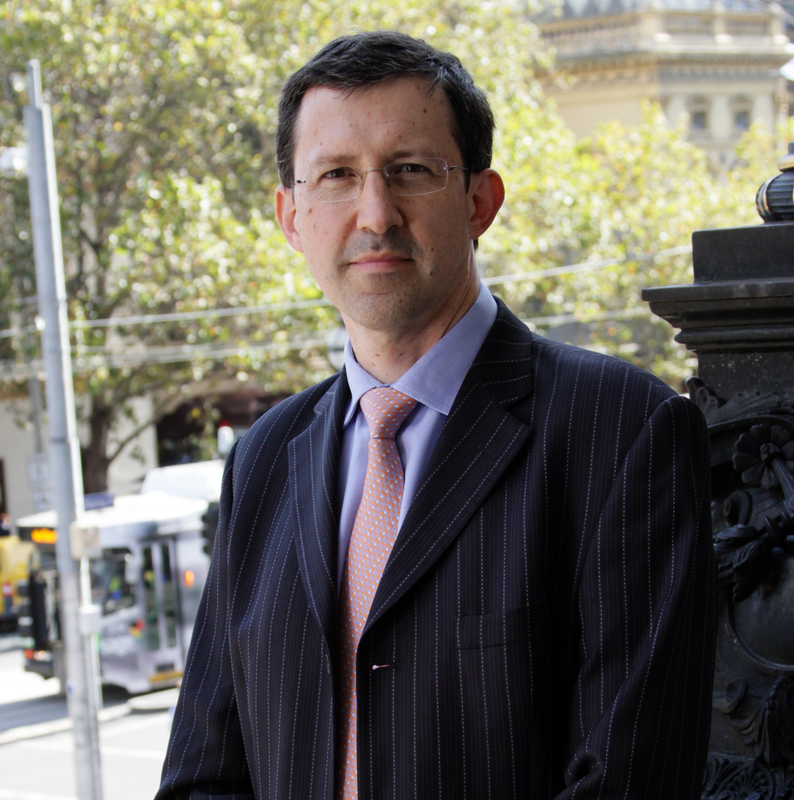 Recently the CEO of Infrastructure Victoria, Michel Masson, took time out of his busy schedule to discuss the complex task of preparing an evidence based infrastructure strategy for Victoria. Red+Black Architect – Currently Infrastructure Victoria is working through a process to develop a 30-year strategy. Where is this process currently at and when can we expect the draft strategy to be released? Michel Masson – 2016 is clearly the year of the development of the 30-year strategy which will be tabled to parliament at year end. Where are we at? The method we took is one of common sense. First, we decided to look at what are the problems that we’re trying to solve instead of looking at the solutions. There are so many engineering solutions out there looking desperately for a problem to solve in order to justify their existence and request for funding. This first round of consultation – which focused on our discussion paper Laying the foundations – was where we asked the community what are the infrastructure challenges we should focus on. We know all throughout the process we’re going to have to make some pretty tough decisions in terms of what we do and what we don’t. This is strategy 101. You decide what you’re going to do, and equally what you will not be doing. We were very pleased with the level of engagement we received from the community during that round of consultation. We received a lot of very good feedback about the importance of putting regional Victoria front and centre in the strategy. We also received feedback about the need to promote integration between the land use planning and the infrastructure planning, which we’ve now incorporated into our guiding principles. We have just finished the second phase of the consultation surrounding the options paper. Once we defined the strategy framework and the problems we’re going to focus on, we looked at the options. We’ve tabled to the community over 200 ideas to address Victoria’s infrastructure needs. At this stage, the whole process is to get constructive feedback and criticism from the community on the options we’ve put forward and also source new ideas from stakeholders and from the community. Once we’ve incorporated that next round of consultation, then we’ll table the final strategy to parliament at the end of the year. Once that strategy is tabled to Parliament, the government has 12 months to respond with a five-year plan. R+BA – Those projects in the draft, will it be prescriptive as to for example project X will start between 2018 and 2019 and project Y will follow that from 2020 onwards? Are there timeframes for those projects? MM – First of all, we talk about options and not necessarily projects and the reason is that our approach is not just about building new pieces of infrastructure. It’s first and foremost about how do we look at demand management and most importantly how do we optimize the current assets? How do we make the most of what we currently have before we look at building new things? We’re very keen to look at policies and regulations which are currently in place and should be amended or new policies and regulations which would help make better use of the existing assets. The draft strategy will be a series of recommendations, policies and regulations, and new pieces of infrastructure which will be positioned as short, medium, and long-term draft recommendations. We won’t be as precise as saying this should start the second quarter of 2018 but we’re really going to position them as a pipeline. The recommendations will make it very clear as to how they interact with each other. It will be clear that before you go to that big piece of new infrastructure as option D, you’ve got to do A, B and C beforehand. Everybody will understand why it makes sense to do A, B and C before D. Again, we recommend but the government of the day decides. They may want to go straight to D but everyone will be able to measure the consequences of the impact of bypassing A, B and C and going straight to D.
R+BA – As part of this process you’ve used citizen juries? R+BA – How does this work? What have they been deciding upon? MM – We were very keen to ensure that in process of the developing the 30-year infrastructure we had depth and breadth in the consultation. This was about real, genuine engagement, not just an exercise in ticking a box. The citizen jury is a very interesting way to give a voice to the people. It was fundamental to have the right tool, the right mechanism to have the community express their views. We’ve created two citizen juries – one in metropolitan Melbourne and another in regional Victoria which is based in Shepparton. These citizen juries are two groups of 40-ish people which have been randomly selected but statistically representative of regional Victoria and metropolitan Melbourne. They spend six Saturdays meeting every few weeks and work like a court jury. Each jury has the opportunity to call on experts on a range of issues- from former treasurers, experts in transport planning, specialist in schools or education and so on – in order to gather evidence. At the same time they are going through all of the options which we tabled. At the end of the process, they will deliberate and provide their recommendations. The interesting thing with the citizen jury is that you need to reach consensus with forty people. What we’ve seen is when you take forty people from all parts of the socio-demographic fabric of Victoria, you get a lot of common sense. When you ask them to come up with one common view on the future of transport or education, the answer you get is just fascinating. We’re very keen to see what their recommendations will be, which will form a key input to the draft strategy. R+BA – Will we be able to see a report on that process and their input? Will that be identifiable in that draft strategy as ‘here’s what the jury said’? MM – Absolutely. It will be clear where the jury’s recommendations are positioned in the draft strategy but we will also be releasing the citizen juries’ recommendations in full prior to that. R+BA – When you released the options paper, it must have been terribly frustrating having some politicians and media outlets falsely reporting about Infrastructure Victoria making recommendations for projects rather accurately describing projects in the report as options for consideration. How would you address those commentators? MM – I fully acknowledge that the complexity of what we’ve embarked upon developing a 30-year infrastructure strategy is not something intuitive to grasp. We’ve been engaging with the media at length to readdress that perception. We are keen to reiterate that these are options, not recommendations. Everything is on the table and this options stage was really when we invited the community to tell us what they think and what we missed as we prepare the draft strategy. It is very satisfying to feel people are now inside the tent with us and really eager to provide their views. In fact, the number of submissions we’ve received echoes that. R+BA – How important are cost benefit ratios? Are there circumstances when projects should be built regardless of the cost implications? MM – Benefit cost analysis is a very interesting aspect of what we are doing. Infrastructure Victoria was created for three purposes. The first one is to develop the 30-year infrastructure strategy. That is a very strong focus this year. The second one is to provide advice to the government on projects and the government has already requested Infrastructure Victoria to provide advice on the second container port in Melbourne. The third is our research program. Through our research program we looking at the tools currently being used in decision-making and assessing projects, including benefit cost analysis. It’s a very useful tool but its an imperfect tool, because it only captures economic benefits and costs. We are currently trying to capture social and environment benefits in monetary terms. Currently, we take full cost of an engineering solution, a tunnel for instance, but we do not take account of any benefits from leaving everything above ground flourishing in terms of social and environment impact which is a problem. Everybody recognises that. When I say everybody, I mean Infrastructure Australia and the state infrastructure bodies. Victoria is taking the lead in working on this. R+BA – Looking back upon the East West Link Saga, what do you take out from that whole process that eventuated? MM – To be clear, Infrastructure Victoria is positioned to look ahead at the next 30 years. We’re not looking back at past decisions. The past is the past. This is not our field. We are taking for granted as a base case all of the major projects which are fully committed and funded. That’s why people are asking, “Why aren’t you talking about the Western Distributor? Why aren’t you looking at the level crossings?” We are not assessing those. We take those projects already underway as the base case in projecting ahead for the next 30 years. When it comes to what has been known in the past as the East West, we are steering clear from politics. We are steering clear from what it was and we’re looking at what it should be in the future. Our recommendation could be completely different from what has been known as East West. We’re not barracking for an option or solution in particular. We’re just looking in an evidence-based way at what is for the good of Victoria in the next 30 years. This entry was posted in all posts, construction industry, East West Link, Government Policy, Interviews, Uncategorized and tagged East West Link, Infrastructure, Infrastructure Australia, Infrastructure Victoria, Michel Masson. Bookmark the permalink.